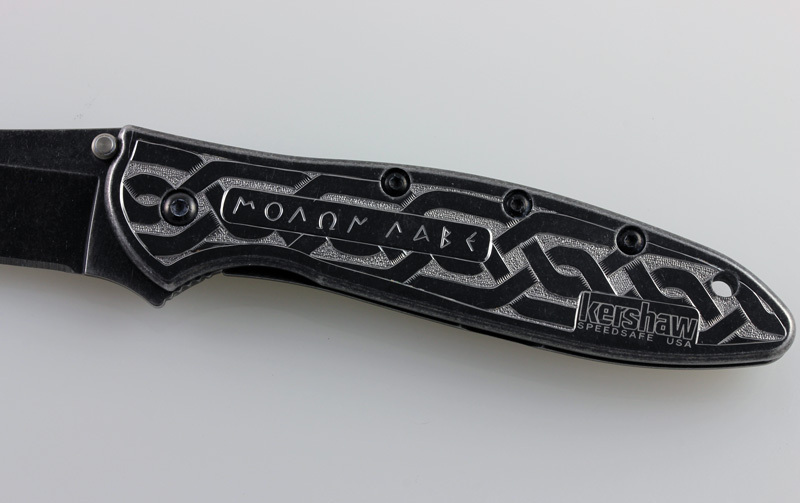 I was commissioned to hand engrave this Kershaw folding knife by a thoughtful woman as an anniversary gift for her husband. 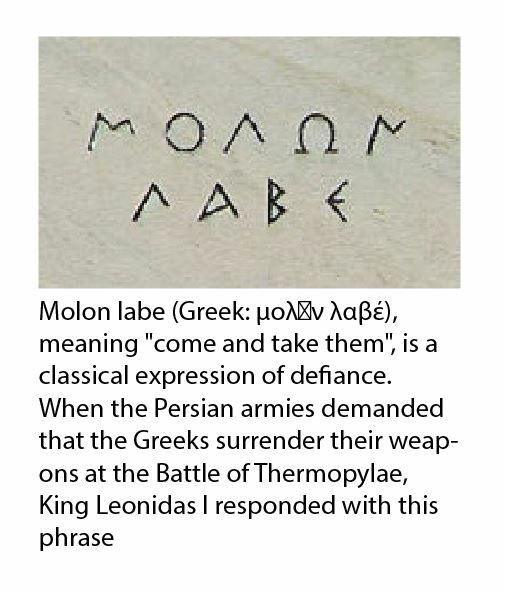 She asked if I could incorporate the famous Greek quote “Molon labe” which means “come and take them”. She sent me a picture of the Greek quote carved in stone and I tried to replicate the letters exactly. 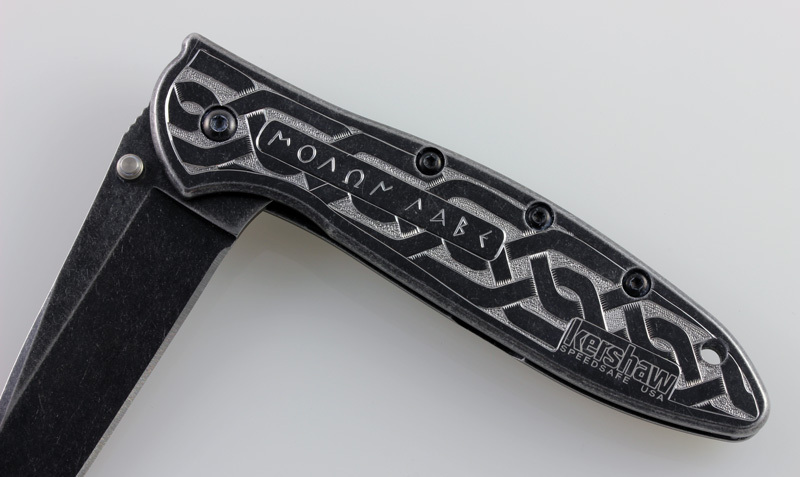 She also mentioned that her husband liked Celtic designs and so I hand engraved a Celtic Knot in deep relief fashion as a background for the quote. 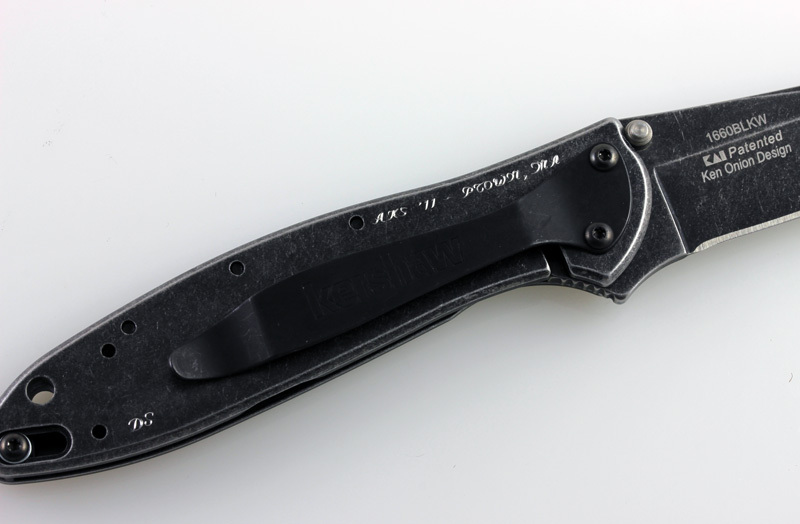 This Kershaw is a very nice pocket knife with a very tough stainless steel handle which was challenging to engrave!